I’ve been listening relentlessly to Solipsism (try saying that drunk), a new album by Sydney band Skeleton Staff. It’s been one of those albums where you keep coming back to it again and again. I’d play it, and a little while later I’d think to myself “Hmm… What shall I listen to now? While I’m deciding, how about I put Solipsism on again? I’ll listen to it just one more time…”. At the moment I am occasionally playing other music, but as soon as I’ve done that I tend to go back to Solipsism and sneak in another listen. Whilst listening to the album, I’ve spotted little bits of music here and there that remind me of other things. (If you want me to get really predantic, I can give you some more, albeit smaller, coincidences – but I don’t want to give the impression that Skeleton Staff are just a bunch of plagiarists, because they’re not). I’m guessing that was an unconscious ‘lift’ on the part of Skeleton Staff. Pretty much anyone who’s ever listened to 80’s music on the radio – especially in Australia – has heard “Jessie’s Girl”. And more than once, too. 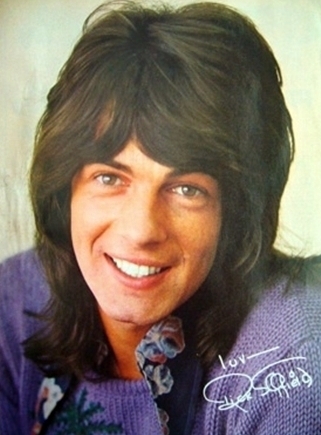 No-one with a radio in this country is immune from having had “Jessie’s Girl” firmly implanted in their brain at some point, so I think the chances are fairly high that any part of Rick Springfield’s ear-worm will (unintentionally) pop up in someone’s else song. I’m glad that it popped up in “She’s So Rude” because I think it’s a splendid song (on a splendid album). Song of the day: A band – "I’ll Make You Happy"
Song of the day: Rick Springfield – "What’s Victoria’s Secret?" Song of the day: Rick Springfield – "Speak To The Sky"
What I find mystifying is that Rick chose to launch his solo career with this, a song that sounds as if it belongs more in a revivalist’s tent (“Roll up! Roll up! Sing your praises to The Lord! With a really cheesy tune!”) than on the record charts. I don’t know what possessed Rick to release it as a single (or to even record it in the first place), but I’m flummoxed as to why he chose “Speak To The Sky” specifically to represent his new career as a solo artist. 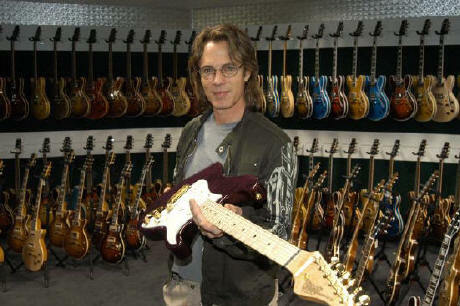 “Hi, I’m Rick Springfield and this is the kind of music I now want to play for you as a solo artist.” Pardon? Listening to the song, I continually ask myself: What audience was he aiming for? Hippies? Christians? Hippy Christians? You are currently browsing the archives for the Rick Springfield category.